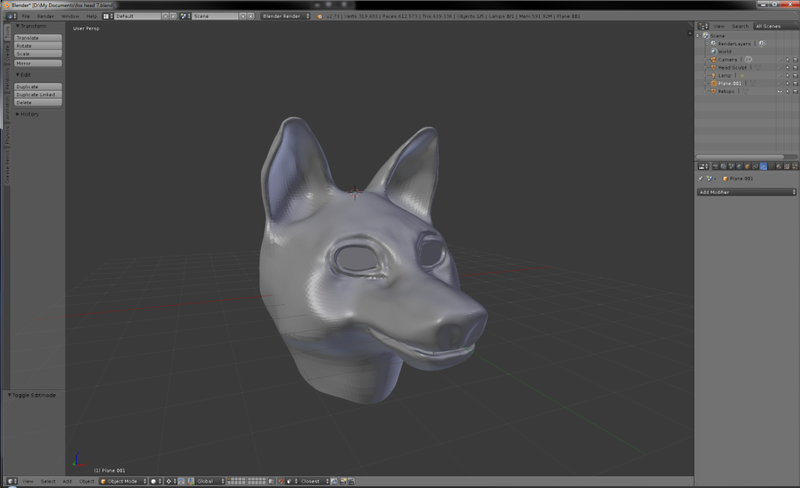 I found new hobby in form of 3D models. 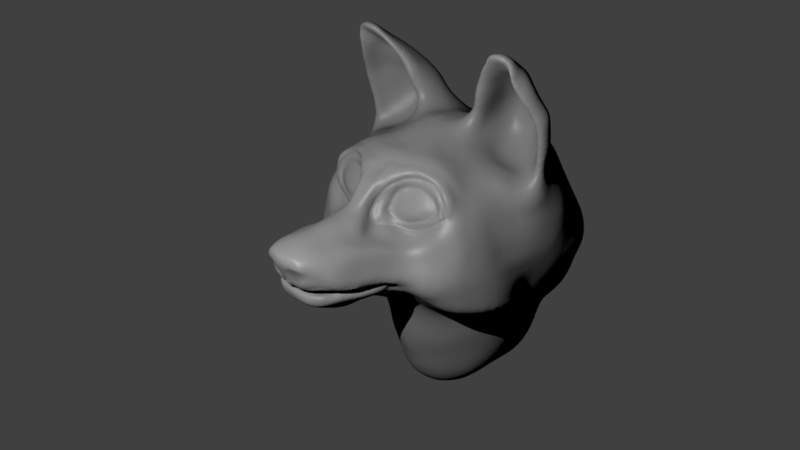 I have previously tested blender, but have not done anything productive with it. Now I finally got time and determination to learn more of using it to make something wort of sharing. I have now been playing and experimenting with Blender about couple of weeks and I already have bigger project in my mind.At first I started to sculpt fox head, I though it would have been easy project to start, but oh how wrong I was. Doing something artistically demanding while introducing to new not so intuitive software was not so smart decision. Previously I had bought Wacom Intuos Pen graphics tablet that I found to be super useful in 3D modeling. Saves lot of wrist when you can use pen instead of mouse to move things around in software. Well yeah, I am not proud of that, but hey, it’s something self-made, not ready template of box or monkey head. 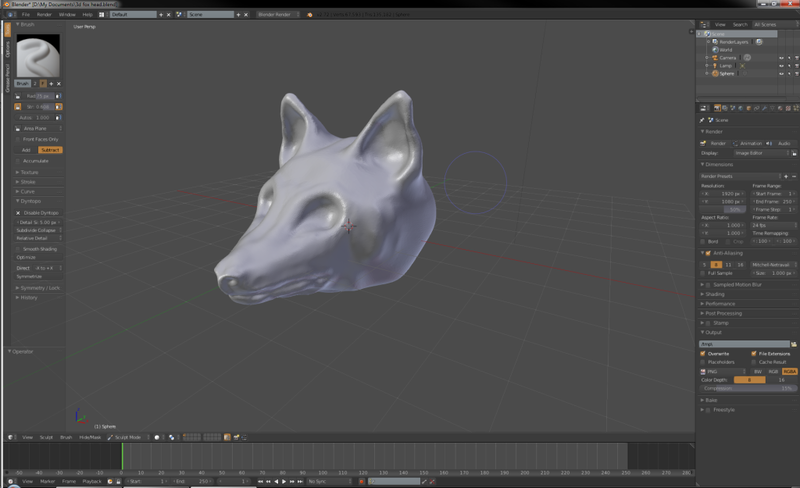 It gave me better understanding how things work in blender and what to expect. My third model started already to look better. Not anatomically correct, but organic lifeforms are hard I was anyways after something bit more anthropomorphic. I learned that objects made by sculpting are not ready for use. 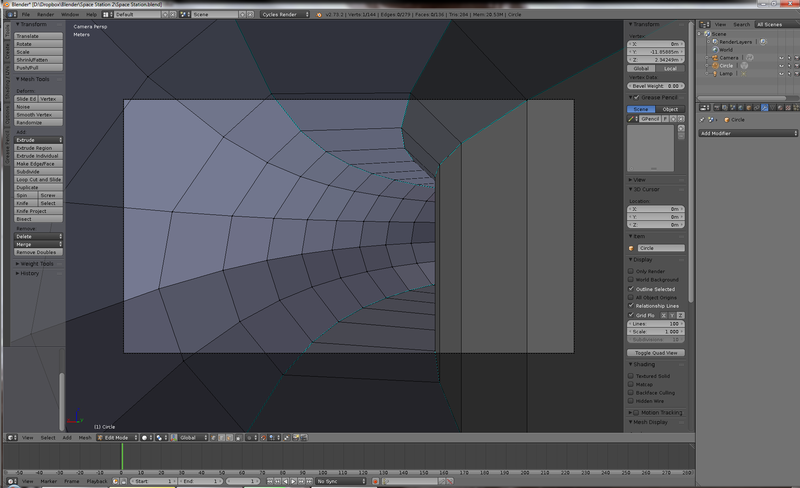 Their mesh can be very complicated and no good for texturing or other manipulation. 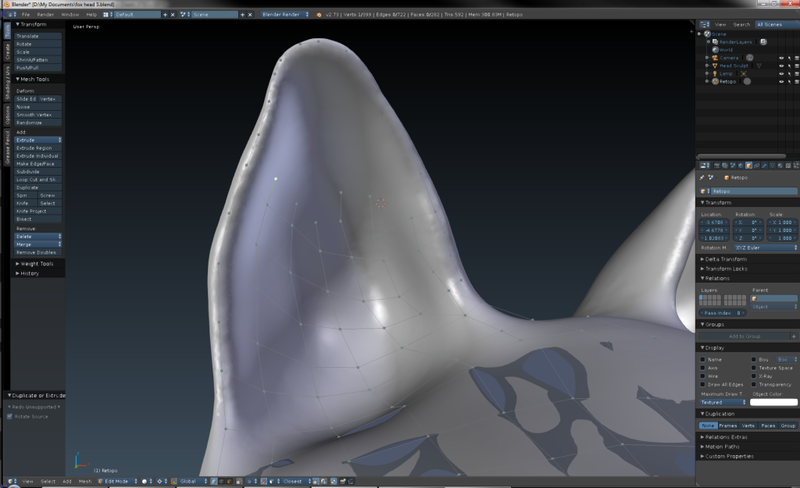 Usually after sculpting model next step is retopo where new mesh(base of all 3D models) is manually laid on top of sculpt. 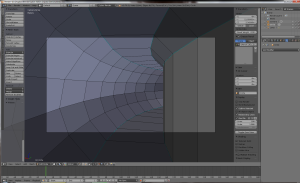 You must take into account making face loops around details and trying to get uniform grid that consist of squares made by vertex(dots) and edges between them. After this model is much lighter and is easier to modify by hand and modifiers like subdivide surface, which increases amount of mesh squares by dividing them. After mesh model is good enough it can be UV mapped, which means 3D model is laid flat to 2D, so it can be textured by adding image. 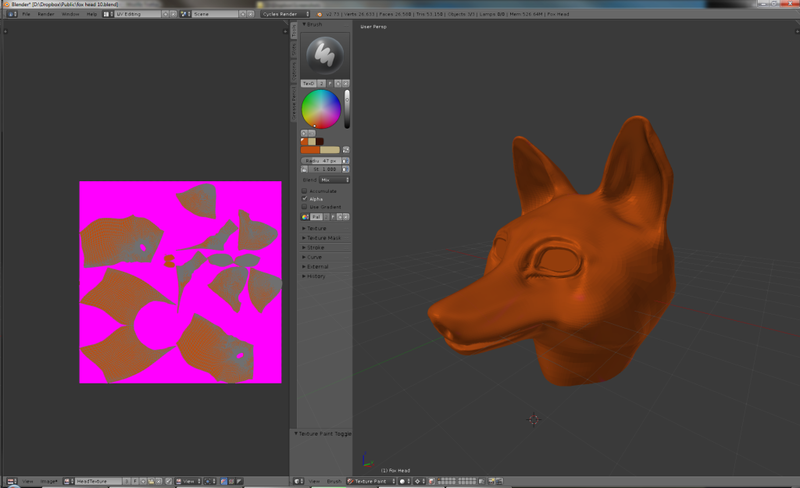 Here is UV map of my model at the right. It is bit like world map, round earth cut and stretched to flat surface. Then it can be painted in either 3D mode or 2D mode. 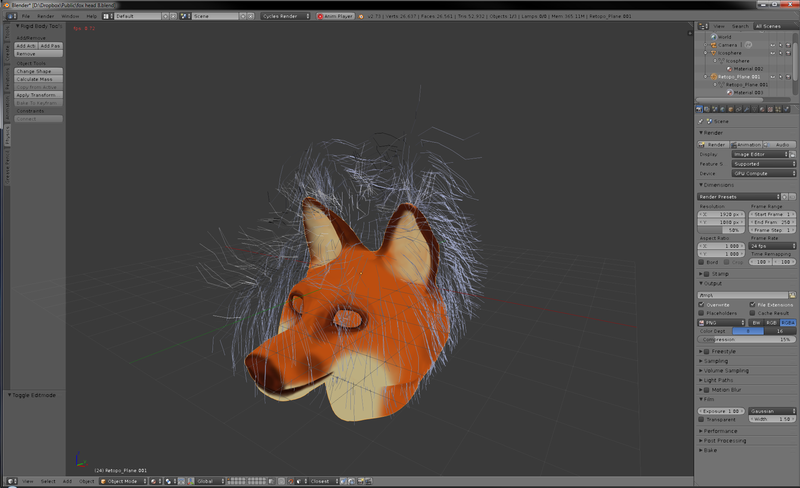 I felt this model looked bit odd with only painted texture, and I found out that Blender can do physics simulated hair. 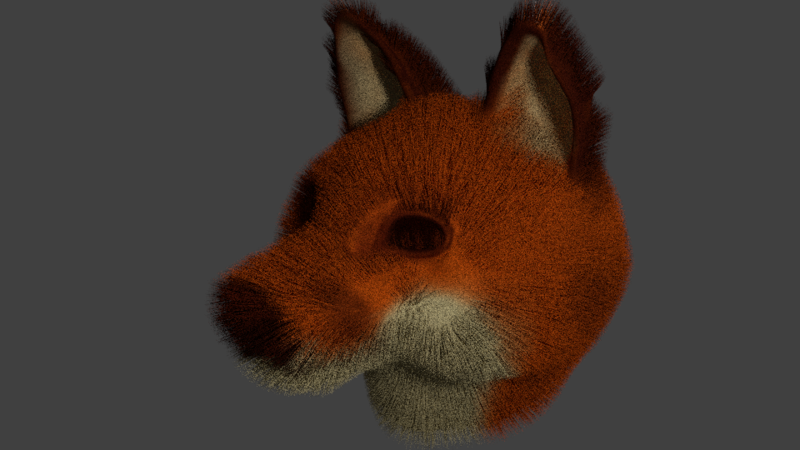 Experimenting with particle system was interesting, so I got around and added some fur to model. First it was bit chaotic to get fur work, but then I found out that it could be inserted by hand, and then I could manipulate with different tools like comb. Yes, you can comb your model’s hair. 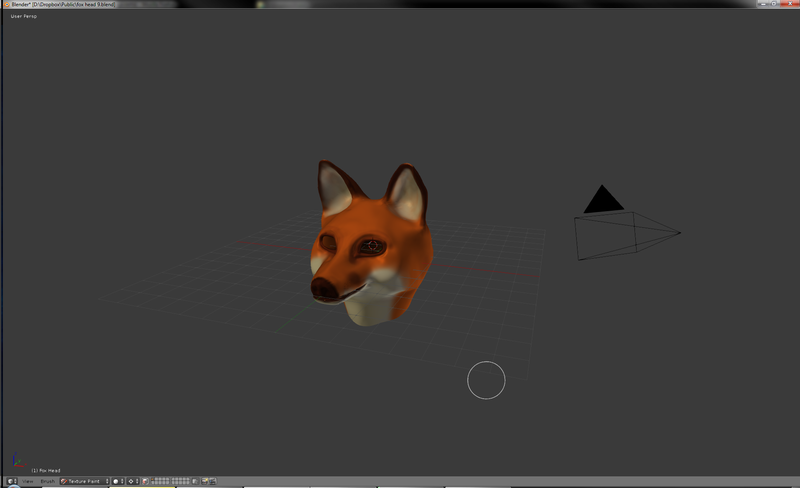 Hmm, how would mohawk look… Rendered model with fur. 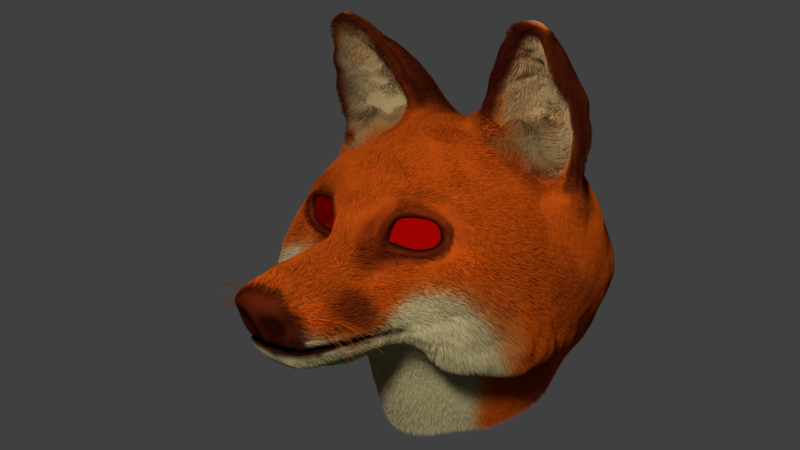 I had in mind to add realistic eyes with layer of glass and another layer with iris, but then my computer started to crash and I lost all interest to that model. 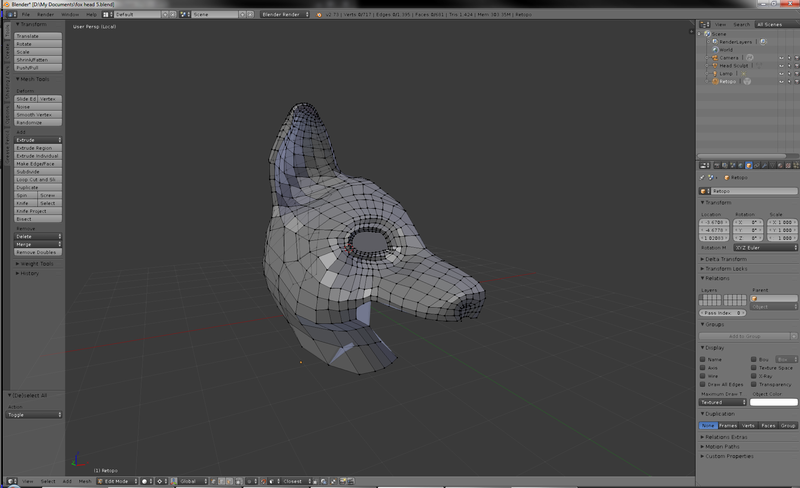 Maybe I some day come back and complete this fox head, after I have better knowledge of making 3D models.